Not every game has taken advantage of the Xbox One X's superior specs, but it looks like the highly-anticipated shooter from Ubisoft will, at least in terms of resolution. 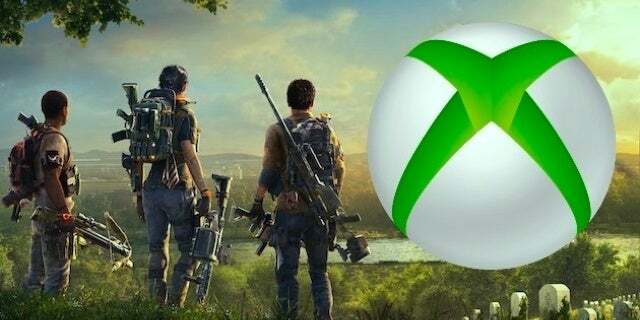 Speaking on the Inside Xbox show, Ubisoft revealed that the Xbox One X version of the game looks the "crispest" of all the console ports, aka better than Xbox One, PS4, and PS4 Pro. We also have learned that the game will support native 4K resolution on the system, and of course utilize HDR to make whites and colors pop more. 6's Tom Clancy's The Division . In it, seven months have passed since the first ga me and since a deadly virus swept over New York City and the rest of the world, crippling the population and causing chaos. When the virus hit, The Division, a unit of civilian sleeper agents, was activated as the last line of defense. Ever since then, Division agents have been fighting relentlessly to save what remains. Now players are leaving New York City and playing as agents in the capital of the United States, Washington D.C. – the most heavily protected city on earth, which is at risk, leaving the entire nation on the brink of collapse. If the city falls, it will bring the rest of the country with it. As a Division agent, you and your team are the last hope to prevent the capital from falling. Tom Clancy's The Division 2 is poised to release worldwide on March 15 via the PS4, Xbox One, and PC. At the moment of publishing, there's no word of a Nintendo Switch port. For more news, information, and media on the highly-anticipated Ubisoft title, be sure to peep all of our previous coverage of the game by clicking right here. And of course feel free to leave a comment letting us know what you think. Are you picking this one up? If so, on what system?